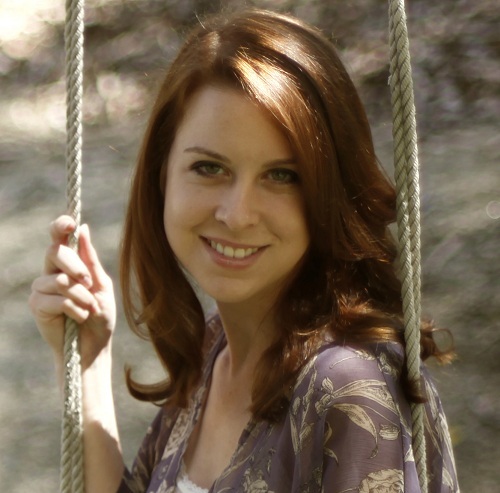 Interview with author Katie Jennings! This week I had the great pleasure of having author Katie Jennings stop by the blog for a chat. Katie Jennings is a talented writer and the author of the Dryad Quartet series (YA Fantasy) and the Vasser Legacy series (family saga/romantic suspense). Me: Hello and welcome to the blog, it’s great to have you here. Katie: Thank you for having me! Me: So first off, tell us a little bit about yourself. Katie: I am a huge nerd, first off. I am addicted to reading romance novels and watching Once Upon a Time, and am a true Disney kid at heart. I grew up in the northern Los Angeles area where I have lived all of my twenty-five years. Writing is my passion, and is something I have been doing since I was in my early teens when I first got into Nora Roberts and J.K. Rowling, who are my biggest inspirations. Me: Your first books were the Dryad Quartet series, but your next series departs from the fantasy genre into another. Tell us about your new series and what genre it is. Katie: The Vasser Legacy series would be classified under both family saga and romantic suspense. I wanted to break away from the YA Fantasy (the Dryad Quartet) and tackle something more mature, complex and intriguing. When Empires Fall, book one of the Vasser Legacy, focuses on the Vasser Hotel family and the struggles they face when they learn a member of their family is a killer. Me: I know music can inspire stories and even scenes within stories. What inspired your new series? Katie: In the case of When Empires Fall, it was one specific song that I have loved since I was very young that inspired me to write this book. The song is called “Raoul and the Kings of Spain” by Tears for Fears, and it is truly a beautiful song. While I didn’t pull my plot line or anything from the song, this basic idea of “the seventh son of the seventh son comes along and breaks the chain…” is what got me, as did this question posed in the song, “can we ever hope to seek asylum from the bounds of faith and family?” I knew that I wanted to write a novel about a very large, prominent family, an empire of kings in America, well respected and renowned for generations. Until the seventh son of the seventh son broke the chain, and shattered the family to pieces. This is a key, underlying component of When Empires Fall, and the cornerstone for the drama and suspense that ties the entire story together. Me: Was there only the one song, or did different songs bring certain scenes to life for you? Katie: Oh definitely, I had a whole playlist for this book! In fact, I even had separate playlists inspired by each of the different characters so that I could get into the mood as I would tackle an emotional scene for one of them. Some of the top artists who graced my lists for this book included Fleetwood Mac, Counting Crows, Florence + the Machine, Adele, Bonnie Raitt, and Sheryl Crow. Me: You are a very prolific writer, how do you get so much done so fast? Katie: Thank you! Well I’m very lucky to have a job that affords me some free time to write during the day, and I try and write in the evenings as well. Also, I accredit a lot of my speed to my detailed outlining before I even begin writing. Once I get going, I can just follow my outline and cruise right on through till it’s done. Me: Do have specific place you like to write, or do you write anywhere? Katie: I do some of my best writing at my desk at home in my quiet home office. I can’t listen to music while I write (though I listen to it all the time otherwise) and I cannot have any distractions or else it just doesn’t happen. I’ve never tried writing in say a coffee shop or a park, but I think it would be difficult for me because there is WAY too much to look at. Me: Are you a panster, a plotter, or somewhere in-between? Katie: I am probably the biggest plotter out there. I make meticulous outlines before I ever begin writing, detailing each and every chapter, conversation and revelation. It helps me build the plot and keep the pacing correct, and the best part is that once I start writing, I don’t have to worry about remembering to add in some detail or come back to some part of the plot later, as it is all worked out already. That stress being lifted is a great relief! Me: Do your characters ever take over? Do they ever look at something you have thought of and said, “Oh no, it would be much better if it went this way? Katie: Sometimes, but as I said, I outline like crazy, so usually if they were going to make their voices heard it would have happened then. But sometimes it does take over, and I’ll get inspired by a piece of dialogue I write to then explore something else, while still keeping within the confines of my outline. Me: After your Vasser Legacy novels, what is next? Katie: I have this great dark paranormal romance novel in my head that I can’t wait to get down on paper. The second I finish with the second and final Vasser Legacy novel, I will dive into this one. I don’t know exactly what the plot will be yet, but the characters have made themselves blatantly known to me so I have them down pat. It will not be YA, but more about a ghost hunter and the process of ghost hunting (which fascinates me) with some romance and horror thrown in. The four main characters will be of the following types: a domineering ghost hunter guy who takes himself way too seriously, a skeptical female doctor or detective who gets thrown into the mix, a female medium who can see and hear ghosts, and lastly, the tech-nerd sidekick of the ghost hunter who provides the comic relief. It’s going to be a blast and I can’t wait to develop the story further! Me: I love the sound of it! Me: Is there anything else you want to say or talk about? Katie: I have a newly redesigned website that showcases all of my books and has lots of fun goodies such as wallpapers for the computer and smartphone. I invite everyone to check it out HERE. Me: Thank you so much for dropping by, it was an absolute pleasure having you. Don’t forget to check out Katie Jennings novels on Amazon and watch for the release of the second book in the Vasser Legacy series.! Great interview! I am the same way with writing, I need complete quiet. Looking forward to reading your paranormal book, which sounds fascinating!